Click the APD icon to the left to register at MPI site. Questions? Click email icon to email me. Stop Bias and Discriminatory Practices! • An interviewer asks different questions of different candidates depending on their race/ethnicity, age, and gender. • A Police Chief invites a male worker to attend a sporting event while ignoring a female worker who’s sitting right there. 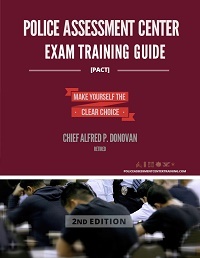 • A Police Executive offers defensive tactics training to five male Police Officers and ignores his only female Officers request even though she is more than qualified. These may seem like minor issues, but they can add up to create a pervasive (and possibly illegal) culture of bias. But if unconscious bias is, by definition, unconscious, how can HR recognize and correct it? Service Orientated Policing – Value Based Policing – Integrity Based Policing – Community Orientated Policing – all deal with HELPING PEOPLE! All Police Officers are required to protect and SERVE! Click the APD icon to the left to download a registration form. This Seminar is a Must for Supervisors! SEMINAR SUBJECTS: Ensuring a supervisor documentation process that works, verbal warnings, written warnings, written reprimands, formal disciplinary conferences, personal files and formal requirements, supervisory action reports, issuance of rules and regulations and documentation, civil service requirements, setting clear performance expectations, setting clear behavior expectations, documenting deficient performance properly, documenting fair and consistent work practices and much more. 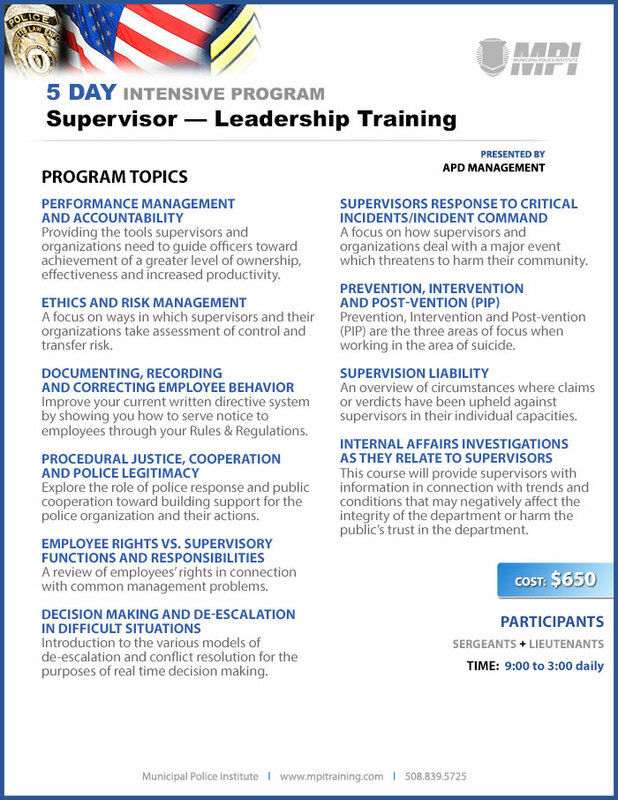 The purpose of this seminar is to provide supervisors with the knowledge and information necessary on issues of liability in law enforcement that will enhance their supervisory skills and help them keep their organization out of trouble. SEMINAR SUBJECTS: Supervisor rights, Dealing effectively with Union Representatives, 150E requirements, Documentation, Performance Reviews, Verbal warnings, written warnings, starting a paper trail, counseling employees, Implementing Discipline, Dealing with 150E issues, progressive discipline, implementing new policies, rules or regulations. Supervisor Liability issues…. Prepare yourself for the wave of the future. Assessment Center testing is here to stay…. What is an Assessment Center? How it is different from the basic ‘knowledge based’ test that I have taken in the past? How do I prepare myself to participate in the Assessment Center process? What will I be tested on? What skills, abilities, competencies and aptitudes are they testing for? What about my specific organization, will I be tested on my departments policies or procedures? Requiring the Truth, Polygraphs in Police Investigations, How to Construct a Case That will Withstand Arbitration and Civil Service Review. Case law and all relevant cases provided. What is progressive discipline, how to change deficient behavior and performance and what to do if it doesn’t change. Documentation, Performance Reviews, Verbal warnings, written warnings, starting a paper trail, counseling employees, Implementing Discipline, Dealing with 150E issues, progressive discipline, implementing new policies, rules or regulations.